André Bazin and my French lessons – This & That.. The only person who has a wide impact on the cinema without making a single movie. I first came to know of André Bazin in the Communication Course at St. Xavier’s College Calcutta .He is a genius of the first order. Much of Bazin’s work was not available in translation then and he forced me to learn French. 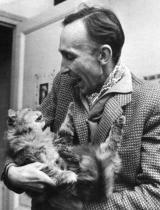 André Bazin was a renowned and influential French film critic and film theorist. Very little is known of his early life except that he was born in Angers, France, in 1918. He originally studied to be a teacher, but being a stammer prevented him from getting a job. He then spend the whole day watching movies in cinema halls and had more knowledge on the film then the directors. He started to write about film in 1943 and was a co-founder of the film magazine Cahiers du cinéma in 1951, along with Jacques Doniol-Valcroze and Lo Duca. He influenced all the film maker of his times then and after but more so onhe the French “Nouvelle Vague” or “New Wave”,particularly Truffaut. Bazin and his wife Janine were a major influence on the life and career of critic and future film-maker Francois Truffaut. Truffaut himself came from a somewhat unstable background, experienced confusion as to his origins, never met his true biological father, and in his adolescence and early adulthood was in regular conflict with authority, often in custody, a fugitive, or considering or attempting suicide. 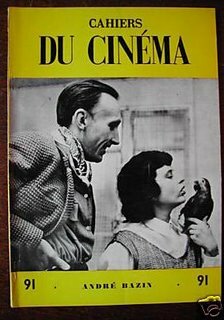 André Bazin noted Truffaut’s love of books and cinema and mentored him into the world of cinema writing, first assigning him research in regard to Jean Renoir, and later bringing him into Cahiers du cinema. Bazin came to the aid of Truffaut in a number of instances, including getting him released from custody, but was also willing to give corrective perspective to Truffaut when it seemed indicated. 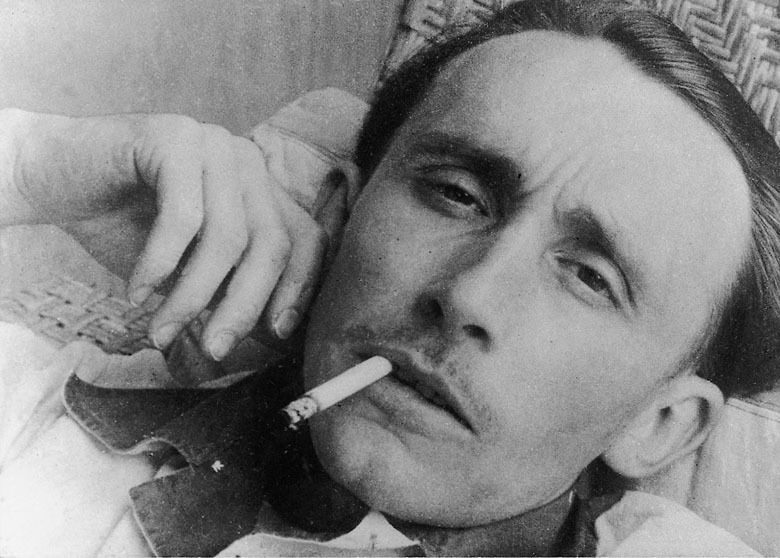 Andre Bazin is commonly regarded as the most important or influential writer on cinema since the end of World War II. 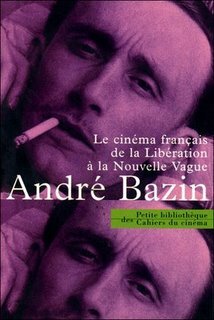 An almost mythical figure in the history of film criticism, Bazin was an early advocate or defender of Orson Welles, Jean Renoir, Italian Neo-Realism and Charlie Chaplin’s post-Tramp films. He was a co-founder of the major French film review Cahiers du cinema, one of the most influential and long-lasting publications in the history of film-writing. In addition to editing Cahiers until his death, a four-volume collection of his writings was published posthumously from 1958 to 1962 and titled Qu’est-ce que le cinéma? (What is Cinema?). Two of these volumes were translated into English in the late 1960s and 1970s and became mainstays of film courses in the US and England. Bazin argued for films that depicted what he saw as “objective reality” (such as documentaries and films of the Italian neorealism school) and directors who made themselves “invisible” (such as Howard Hawks). He advocated the use of deep focus (Orson Welles), wide shots (Jean Renoir) and the “shot-in-depth”, and preferred what he referred to as “true continuity” through mise en scène over experiments in editing and visual effects. This placed him in opposition to film theory of the 1920s and 1930s which emphasized how the cinema can manipulate reality. The concentration on objective reality, deep focus, and lack of montage are linked to Bazin’s belief that the interpretation of a film or scene should be left to the spectator. Most filmmaker,writers and critics who had come in touch with Bazin,paid tribute to him in their own works.Here are some example. Truffaut dedicated `The 400 Blows’ to Bazin, who died one day after shooting commenced on the film. Richard Linklater’s film `Waking Life’ features a discussion between Filmmaker Caveh Zahedi and poet David Jewell regarding some of Bazin’s film theories. There is an emphasis on Bazin’s Christianity and the belief that every shot is a representation of God manifesting creation.Jean-Luc Godard’s `Contempt (Le Mépris)’ (1963) opens with a quotation wrongly attributed to Bazin (in fact the author of the quotation is French film critic and playwright Michel Mourlet from his article “Sur un art ignoré” in Cahiers du cinéma, no. 98).David Foster Wallace’s novel `Infinite Jest’ refers to Bazin in relation to film criticism.